Another recent reflector question about noise mitigation for active e-probe antennas brought further incite from Roelof Bakker, PAØRDT. I found particular interest in his method of determining if the noise is being picked up by the antenna or being introduced by the feedline. As well, Roelof suggests one of the most important aspects of homebrewing ... keeping detailed notes of all tests or changes. He also suggests maintaining a healthy outlook regarding noise and rather than getting discouraged, take on the challenge of overcoming it! I am pleased to pass on what I did learn so far. the antenna. However, this is not necessary to achieve good results. suspect devices and check if the noise is still present. transformer used in the interface. earth. This works for me. amplifier / four port splitter and these produce noticeable noise. without degrading the receiver noise floor by mutual noise ingress. ideal for either testing antennas and for permanent installations. nothing against the use of a metal mast. is mandatory; take notes etc. as it is too easy to run in circles. in the dark for sure. 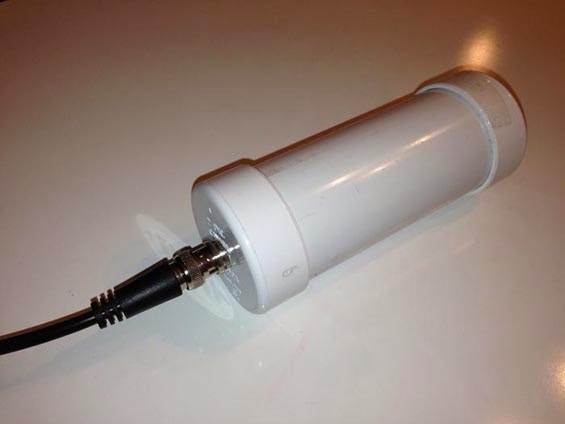 If you're thinking about having a listen on LF or on 630m, the e-probe antenna can be a very effective solution .... and it takes up very little space. The finer details regarding the PAØRDT active antenna may be found here and here. All previous blog postings related to this topic may be found here. As in previous events, last night's activity was both exciting and successful. From out west here however, things got off to a very slow start and it took some time for conditions to 'cooperate'. My take on last night's odd conditions may or may not be correct but it seemed that the skip zone on both HF and on 630m was unusually 'long', right from sunset. 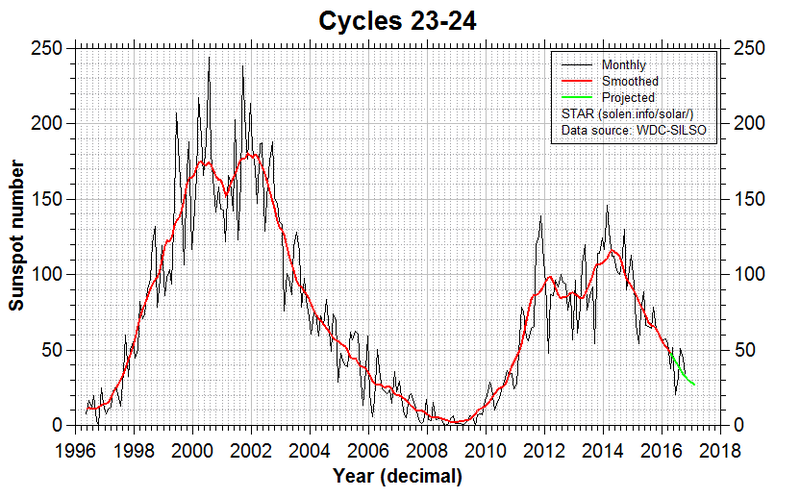 I have noted similar conditions on the broadcast band, when conditions favor the trans-Atlantic skip regions. I suspect that the skip was towards the eastern regions of Canada where there is sparse activity or, more likely, somewhere further out in the Atlantic regions. 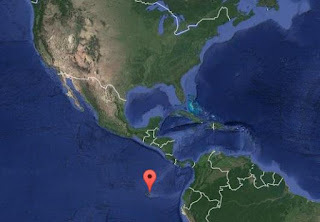 Long conditions like this make it almost impossible to hear closer in stations on HF, such as those up and down the coast or in nearby states, while shutting out most North American reception on 630m. There was also strong evidence that the bands had gone unusually long, when Steve, AA7U, a veteran LW / MW DXer in Arizona, reported early in the evening that he was hearing good signals from Morocco and Algeria on LW ... most unusual from out west! Western 630m stations worked nothing out of the local region for several hours and the more 'usual' contacts with Oregon, Montana and California were absent altogether ... until around 0500Z when Eric, NO3M in Pennsylvania, replied to one of my 473 kHz CW CQ's on 80m. We quickly exchanged reports and as the long skip began to shorten, Eric went on to work my remaining three VE7 neighbours ... a first for him! At 0600Z, Eric called me again to give me a 589 report, indicating how quickly the band had improved. With the shrinking skip-zone now moving west, stations in the midwest (WI, MN, IA and CA) were easily worked as the band shortened-up. 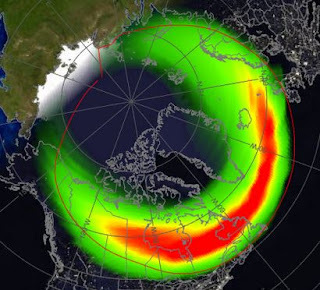 It's a pity that more eastern stations didn't stay up later, as the band really did not fully cooperate until it was well past bedtime for most regions to the east. 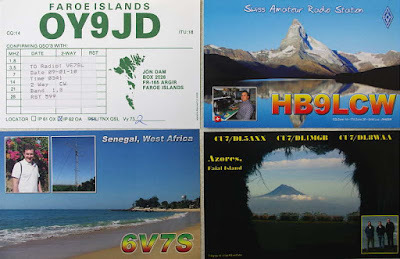 Back east, both Joe, VO1NA on the 'rock' and Mitch, VE3OT in London, Ontario, had good nights, with Joe having a nice crossband CW contact with PE5T in the Netherlands who later reversed roles and worked Frank, VO1HP, who was transmitting on 80m but listening to PE5T on 630m CW! Hopefully this exchange will encourage more two-way trans-Atlantic in-band CW work between Eastern Canada and Europe as there are now numerous European countries with 630m band privileges. Here is a brief logbook summary for the various Canadian crossbanders. For a summary of N1BUG's activity from Maine, along with some recordings, visit Paul's posting here. I would like to express my thanks to all of those that participated, including the U.S. experimental stations, either by sending reports or by being on the air to provide two-way activity ... without your interest and taking the time to prepare your station's capability, events such as this would never get off the ground! Hopefully by this time next year, a 630m ham band will be a reality in the U.S.A. and that we will all be able to work each other directly on 630m! 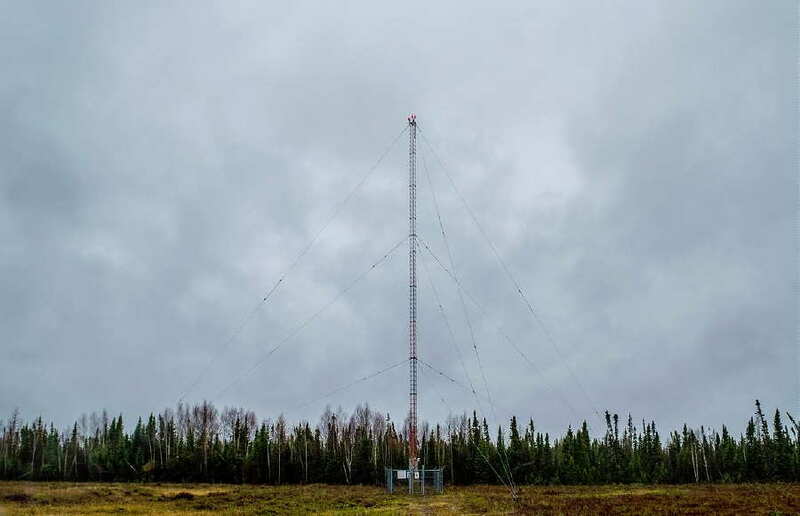 It is also hoped that this weekend's activity will encourage more Canadian amateurs to give 630m a closer look ... we are extremely lucky to have this small segment of the spectrum available to us and are quickly learning of its potential to support superb groundwave communications as well as offering exciting DX possibilities. For an even more in-depth summary of this weekend's event, please visit KB5NJD's blog summary here. 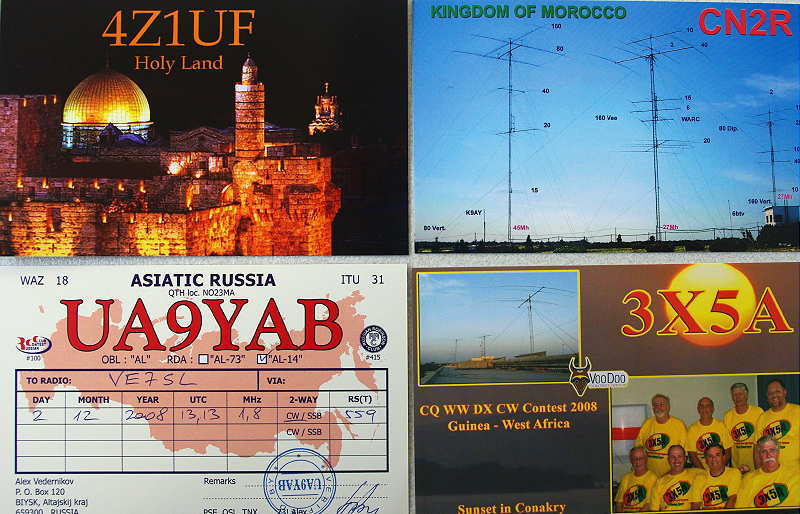 For more help in building your own 630m station, see KB5NJD's 'Instructional Topics' pages as well as on my own 630m blogspots here. Together, these two sources will provide you with weeks of thought-provoking bedtime reading! Thanks again, for your participation. This is a reminder of tomorrow's '630m activity night'. Highlights of the evening will see six different Canadian stations seeking contacts with other amateurs in North America via the 'crossband mode' as they call CQ on 630m CW but listen for replies on their announced (QSX) HF frequency. As well, there will be an increased level of on-air activity from many of the U.S. experimental stations, as they beacon or work each other on various modes including CW and JT9, the WSPR QSO-mode. The experimental stations are also seeking your reception reports. 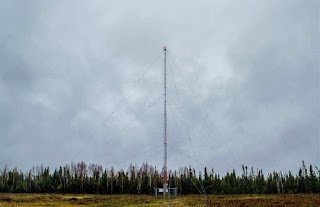 More information may be found here regarding the activity night, including a detailed list of participating Canadians along with their respective transmitting and QSX HF listening frequencies. 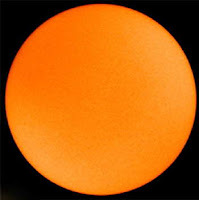 As is often the case, old 'Sol is threatening to throw some junk our way over the next day or two, right on time for our event but please don't let that stop you from participating as often this can actually enhance propagation, especially on the north-south path. We hope to see many of you tomorrow night! 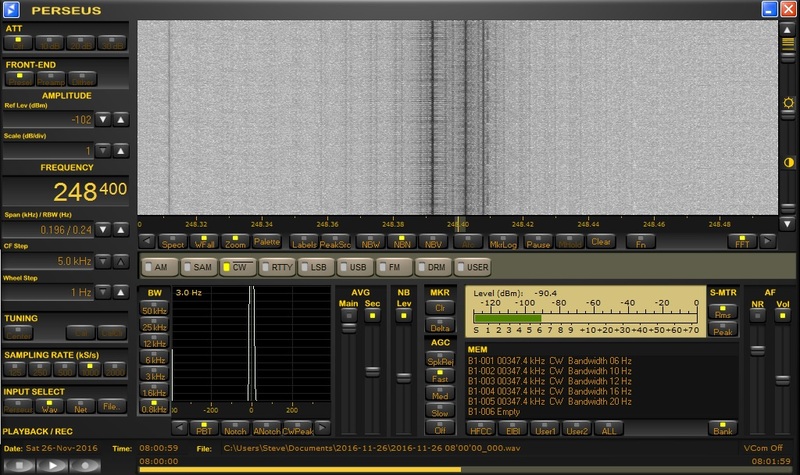 A posting today on Yahoos' ndblist Group by Geir, LA6LU, pointed to a list of online SDR receivers at various locations around the globe. I have seen similar lists like this in the past, only to be disappointed when finding many of the receivers impossible to get operating or arriving at a dead link. This list appears to be up-to-date as a quick check of four random receivers saw all four come to life quickly! The site is run by Andras Retzler, the author of the OpenWebRX software that enables these SDR's to be made seamlessly available online through your web browser. Since all of the sites use the same software, all receivers appear the same, thus providing a very short operational learning curve. At the time of this posting, there were 76 online SDRs, a number that fluctuates slightly throughout the day. Conveniently, the site also indicates how many users are currently using any individual receiver. I can think of several very handy uses of such a resource, from checking your own on-air signal to confirming, in real time, a suspected DX catch that you might be hearing from your own location. 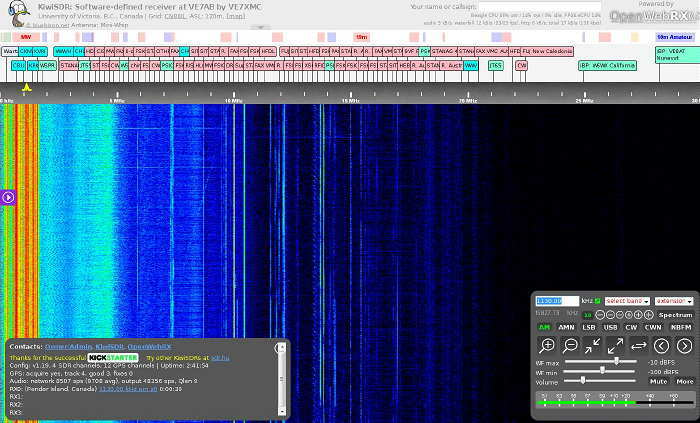 You may even be interested in putting your own SDR online for others to share. It really is a very useful resource and while there, check out the rest of Andras's interesting site. Well another CLE has come to pass with most listeners in North America reporting poor conditions ... other than those in the southern states. 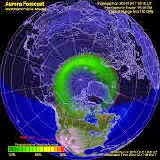 As typically happens when hit with a serious geomagnetic event (why do they always coincide with our CLE's? 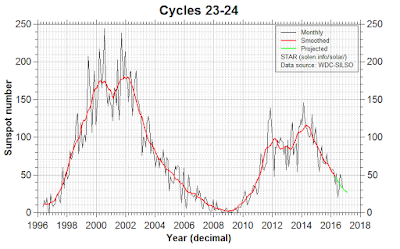 ), northernmost stations are affected worse than those further south. This disturbance was a strong and persistent solar wind, making the band very noisy. 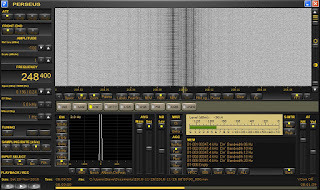 Signals in the Perseus SDR waterfall that looked as if they should be easy copy, were mushy and run together, making many idents uncopyable in the solar wind noise. The east-west path, being reliant on quiet geomagnetic conditions, was totally absent, with no NDB's from Ontario making it into my log. Somewhat surprising was the rarely heard Galapagos Island NDB on 272 kHz ... heard widely throughout North American. As usual, my receiver for the CLE was the Perseus SDR along with my normal LF / MF inverted-L antenna, tuned to ~ 300kHz. The results from all participants can be found in a few days at the NDB List website, or if you are a member of the ndblist Group, results will also be posted there. 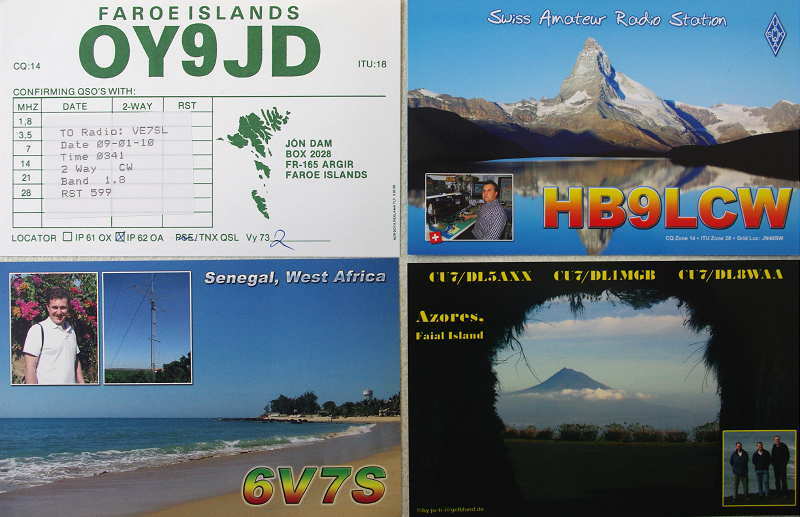 The very active Yahoo ndblist Group is a great place to learn more about the 'art' of NDB DXing or to meet other listeners in your region. There is a lot of helpful information available there and new members are always very welcome. As well, you can follow and chat with other NDB chasers regarding antennas, techniques, unidentified signals and nightly propagation ... and, if you are building a 630m station, listening for NDB's is a great way to determine your receive capability and if it needs improvement.